According to Statista, there are 3.7 billion email users in 2018, and Optinmonster’s research shows that 85% of people (both young and the mature) use email. So despite some marketer predictions, email marketing still trumps. And will continue to for many years. Besides, it is the only current medium to tie all lead generation tactics together. Even after 23 years from it’s inception, email marketing remains the number #1 lead generation method. Smart Insights states that, “email receives 30 times return on investment on average”. Email may still achieve results after 23 years, but outdated email marketing tactics will not; competition is too fierce and people already suffer from information overload. Having said that email marketing remains the best lead generation tactic in 2018, it is only effective with a well thought out strategy that leads readers through the sales funnel to purchase. 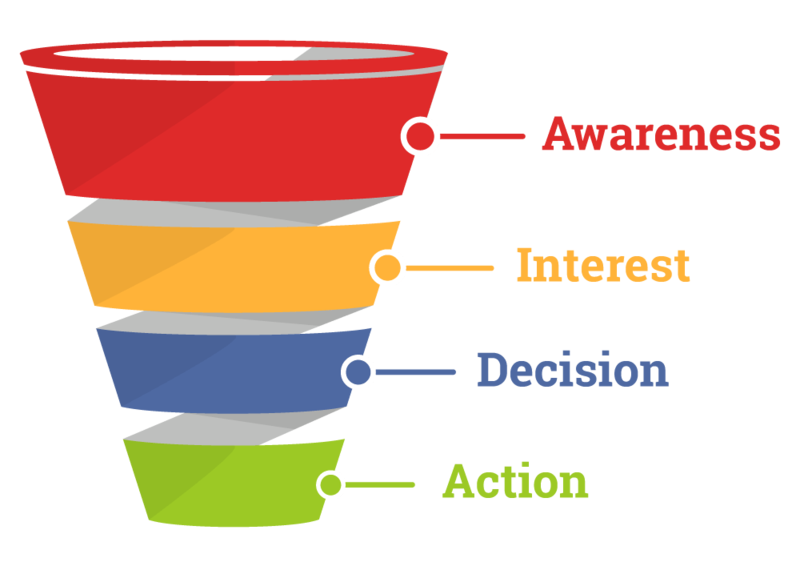 The prospect comes into the email marketing system from the awareness stage of the sales funnel. The email marketing strategy has to gently push him through to the stage of action. It takes on average between one and three months to close a sale, so your email marketing strategy needs to cater to that. 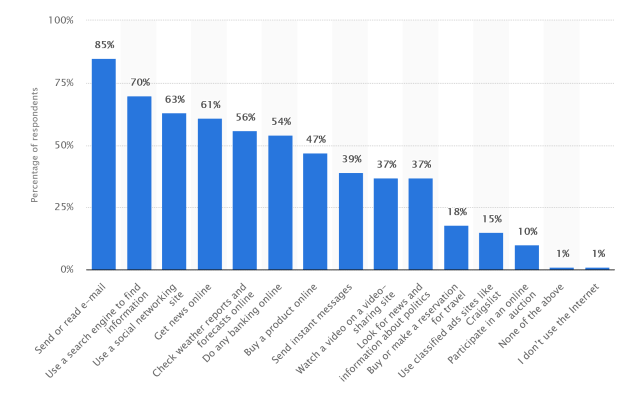 54% of marketers say that their number one priority is to keep people on their email list engaged, which shows that it’s easier to get people on your email list, but difficult to keep them engaged with your email content. The effectiveness of email marketing is dependent on an effective strategy. This was thrown in because although it’s not a trend per se, if you want people to open your emails in 2018, the subject header needs to earn its keep. People check their email about 20 times a day, so that’s no problem. The problem is getting your content read, and the only thing stopping it is the subject header. Neglect this and your email is headed for the trash. Cold emailing campaigns have an overall response rate of 15.22% and 28.46%, so are considered a good lead generation method, depending on industry. When cold emails are personalized with data enrichment (i.e. emails include snippets beyond the most basic ones like “first name” or “company”), response rate can increase by 10%, as Woodpecker found. Buckle found a 146% increase in email campaign conversion after switching to mobile responsive email designs. Make sure the email template you are using is optimized for mobile, and that the page URL where users are directed to from emails, is also mobile optimized. When companies first started email marketing in the 90’s, people were still fairly fascinated by email. And so you would think that email response rates would have been higher then. However, the average response rate in the 1990’s was actually less than the average response rate in 2018, so it could be assumed that due to low competition and traditional sales techniques, the content of sales and marketing emails provided relatively low value and included messages that were purely sales-focused. Today, marketers have a greater understanding of the value of content and their emails reflect this. But since 54% of email marketers report that engagement is a key concern for them, the majority may still need to ramp up the value of their content. Knowing your audience intimately is vital to understanding their needs and therefore the kind of content you should be providing by email to warm up prospects and build trust. Take this into account when preparing your email marketing strategy. When you narrow your focus and send emails that are relevant for the right people, you’ll see an increase in response rate. Mailchimp conducted a study of more than 2000 of their users, and found that segmented campaigns achieved a 14.1% increase in response rate, and a 100.95% higher click rate. Although some marketers have predicted that email marketing will die, it’s still very much alive.